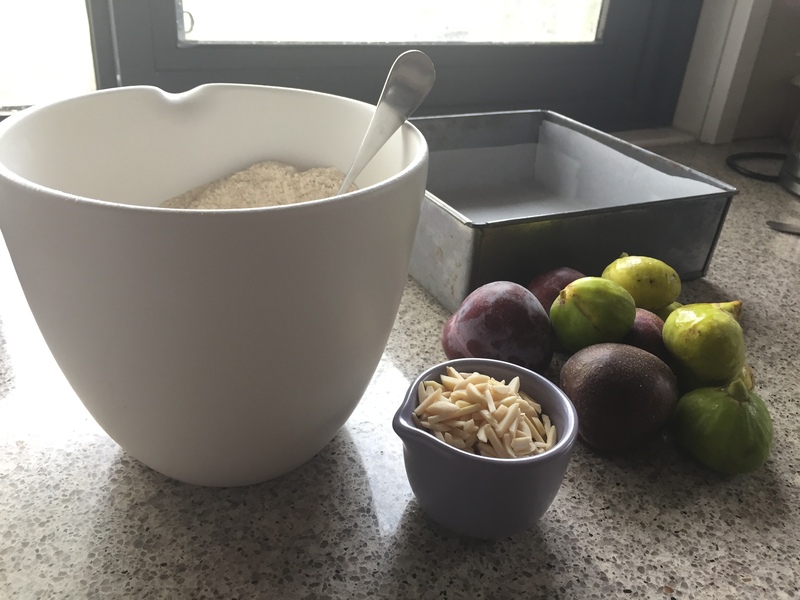 I’ve previously written about what to do with gluts of plums, apples or pears, and with the Australian harvest in full swing, it seems like a good time to talk about what you can do with those sublime fruit, figs. For those of you buying figs from a greengrocer or supermarket at $2 (or more) each, the idea of a glut might seem laughable (I feel the same way about the idea of ‘gluts’ of blueberries! 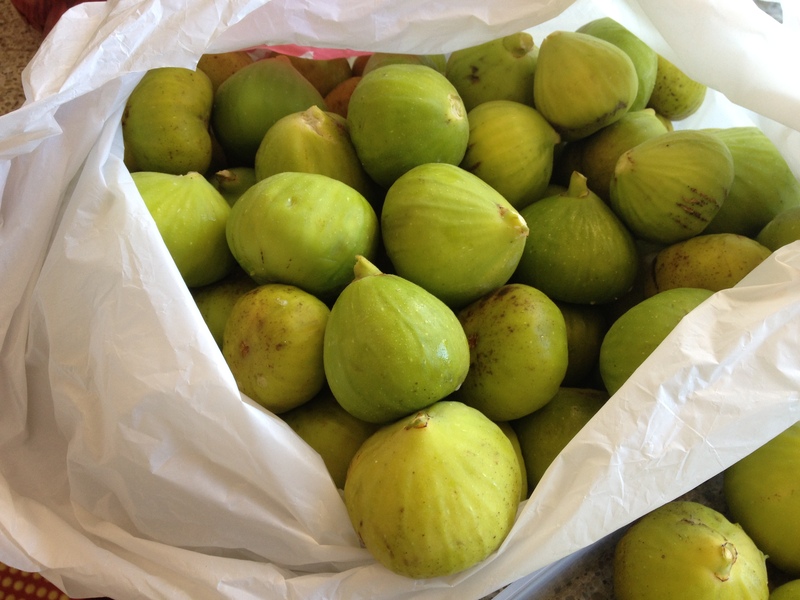 ), but if you have a fig tree, or have a friend, colleague or neighbour with one, you will know what I mean, and may well have a kilo or 20 you need to do something with. 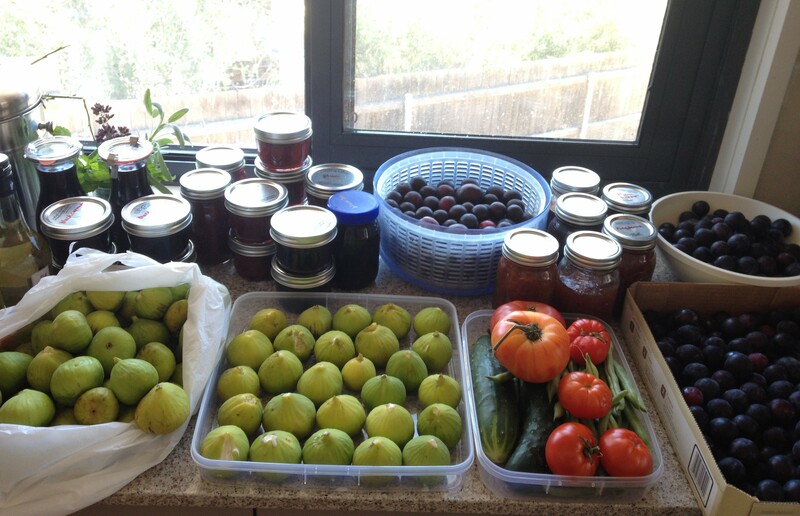 I have a lovely friend (thanks Julie :)) who regularly shares her tree’s bounty, as well as a couple of colleagues with trees who aren’t terribly keen on figs, so I often end up with multiple kilos as you can see! Figs are a fruit that really doesn’t store or freeze, so once you’ve eaten as many as you can fresh (and they’re Mr GP’s favourite fruit, so that’s quite a few for us! ), the recipes below are roughly in the order I’d use those remaining ie the most perfectly ripe and attractive in salads etc, then fresh fruit in desserts, fruit for baking, the slightly squashed or over or underripe for preserving (I use a lot in fig jam and paste), and finally the odds and ends in fig vodka. Somewhat surprisingly, figs combine very well with other fruit – if you try some of the recipes below you will find they combine well with pears, plums, and blackberries for starters. While fresh figs don’t freeze well, when cooked they freeze beautifully. So, for example, with both the fig ice cream and fruit fool below, the fig and other fruit compotes that are the base of both, freeze for several months and defrost beautifully, meaning all you have to do for dessert is pull it out of the freezer and add cream. Fig and fennel paste – I use this recipe, adding freshly ground fennel seeds instead of thyme. Note that I don’t water bath preserves, see the quince paste recipe for the technique I use. Figs also work well in salads. 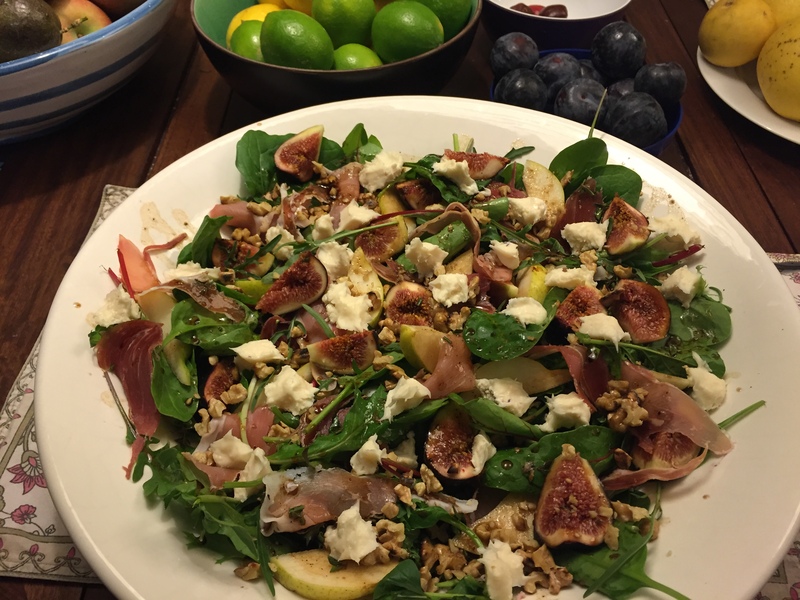 If you do fig and prosciutto, the sweetness of fig and saltiness of prosciutto balance nicely. Love figs, even dried figs. They are so good. And a treat with some dates on a cheese platter. yes, lovely with cheese, I do spiced marinated dried figs with fried haloumi as a starter, its really fabulous!